This utility updates the TransferJet Station software to version 1.10 and resolves an issue where the TransferJet Station may lose connection with a digital camera when the TransferJet Station is connected to a computer, television, digital photo frame, or digital photo printer. Note: This issue does not occur when connected to a PlayStation®3 device. This update is for TransferJet Station units with serial numbers lower than 0800151 and software version 1.06. Note: The serial number is located on the label on the bottom of the unit. 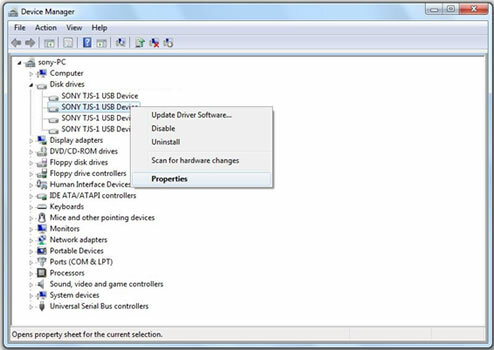 Please connect your TJS-1 TransferJet Station to the USB port on your computer using the supplied USB cable, and then follow the steps below to check the current software version. Click the "Start" button, and then click "Control Panel". Click "Hardware and Sound", and then click "Device Manger". Note: If a "User Account Control" is displayed, click "Yes". 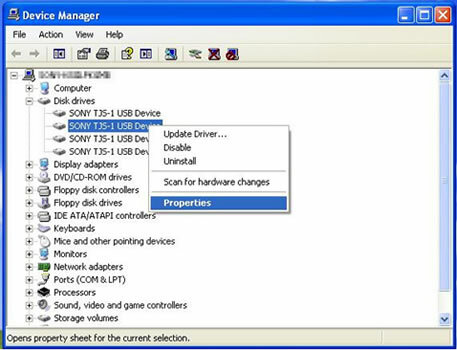 At the "Device Manager" window, click to select "Disk drives". 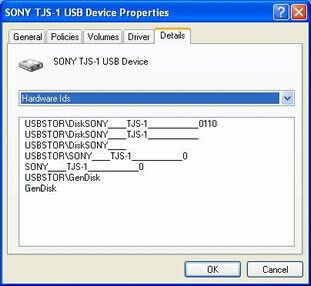 Note: There will be four "SONY TJS-1 USB Device" listings. 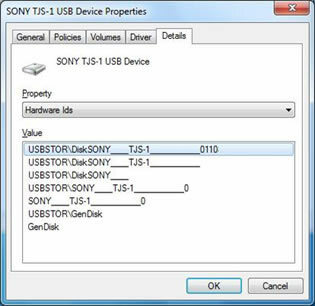 Right-click any of the "SONY TJS-1 USB Device" listings, and then click "Properties". At the "SONY TJS-1 USB Device Properties" window, click "Details". If the value "USBSTOR\DiskSONY_TJS-1____0106" is listed, follow the instructions below to download and install the update. If the value "USBSTOR\DiskSONY_TJS-1____0110" is listed, your TransferJet Station does not need this update. Click "Performance and Maintenance", and then click "System". At the "System Properties" window, click "Hardware". On the "Hardware" tab, click "Device manager". At the "Device Manager" window, click "Disk drives". If the serial number of your unit is 0800151 or higher, or if the current software version is 1.10 or higher, your TransferJet Station does not need this update. If you are using an Apple® Macintosh® computer and determine that your TransferJet Station needs this update, please call Sony support at 239-768-7547 for further assistance. Do not place any TransferJet compatible device on the TransferJet Station during the update process. Click the "Download Now" icon at the top or bottom of this page. Download the TJS1V110.exe file to a temporary or download directory (please note this directory for reference). 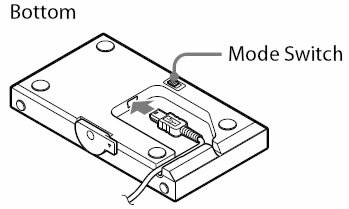 Check to make sure that the Mode Switch on the bottom of your TransferJet Station is set to "MODE 1". Note: The factory default setting for the Mode Switch is "MODE 1". Connect your TJS-1 TransferJet Station to the USB port on your computer using the supplied USB cable. Go to the directory where the file was downloaded and double-click the TJS1V110.exe file to begin the installation. At the "Starting TJS-1 software update." message, click "OK". Note: If a "Connect TJS-1 to a PC." message appears, reconnect the USB cable to the computer, and then click "OK". When the "Update successful." message appears, click "OK". Please connect your TJS-1 TransferJet Station to the USB port on your computer using the supplied USB cable, and then follow the steps below to confirm that the software has been successfully updated. If the value "USBSTOR\DiskSONY_TJS-1____0110" is listed, your TransferJet Station software has been successfully updated. If the software version is not 1.10, please download the update and follow the update process again.